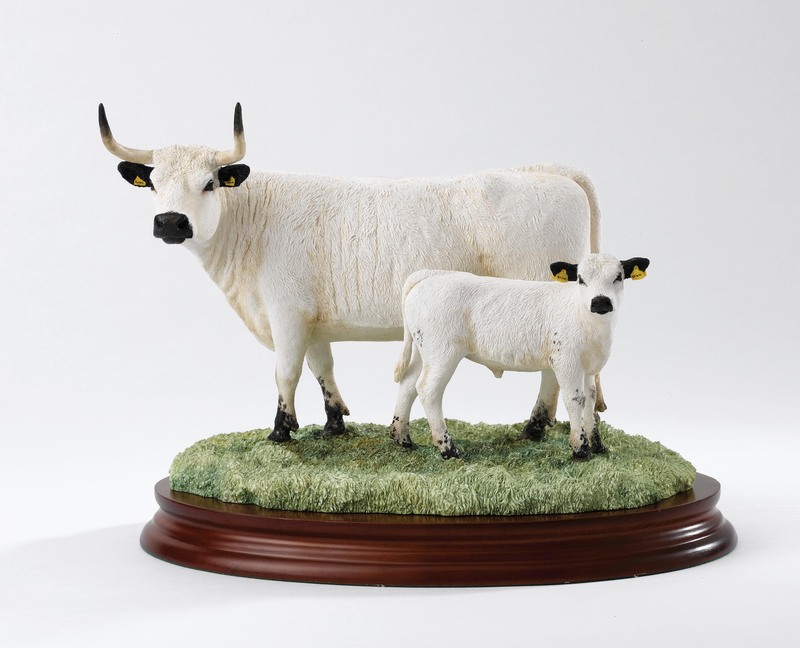 A limited edition figurine of a White Park cow with her calf has been released by Border Fine Arts, one of the UK’s leading producers of animal sculptures. The figurine has been produced by master sculptor Ray Ayres in consultation with the White Park Cattle Society. Each figurine, limited in number to 350, is made entirely by hand in the Border Fine Arts studio in Langholm in Cumbria and comes with its own individually numbered certificate. The figurine retails at £295 and can be ordered from Gray’s Country Gifts on www.grayscountrygifts.com or tel: 01543 483344.